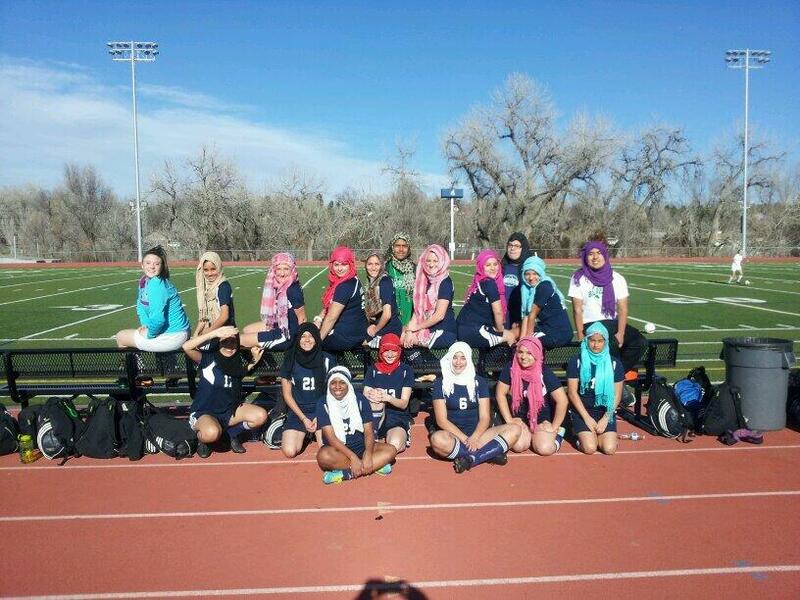 After watching their teammate get turned away due in part to her religious beliefs, the rest of the Overland High School girls soccer team in Aurora, Colo., displayed the true meaning of unity. Covering women’s hair, in any religion, is a way to suppress and control them. There is no kindness in this request from women. While the girls’ act of friendship is noble, It’s a shame these girls don’t understand this, and it’s a shame you posted this. I think that in this case, from our perspective, the most important thing is the sisterhood shown by these women and the kindness their friend received. I understand and appreciate your point, and usually admire the posts on your blog, but in this case I felt I had to say something. I think you are right, but all to often we forget that female visitors to the Vatican have to cover their heads (with a scarf, I believe). Most countries in Europe let girls play soccer with their hijab on, as long as it’s not flapping around. The fact other countries allow that is, in my opinion, irrelevant. The question here is if it’s right to be tolerant of intolerant acts. I think it’s not. Other countries can learn from us, but can’t we sometimes learn from other countries? If wearing a hijab is truly the girl’s choice, I see no problem. Unfortunately most often they are not free to choose whether to wear it or not. On the other hand, having women cover their heads when visiting the Vatican is also a way to suppress and control women which nobody seems to object to.. I still support the actions of solidarityof the Aurora girls.